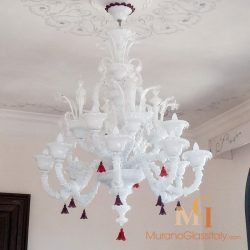 Whatever your interior style is, a sensational stunning chandelier like this gives your home the little extra. 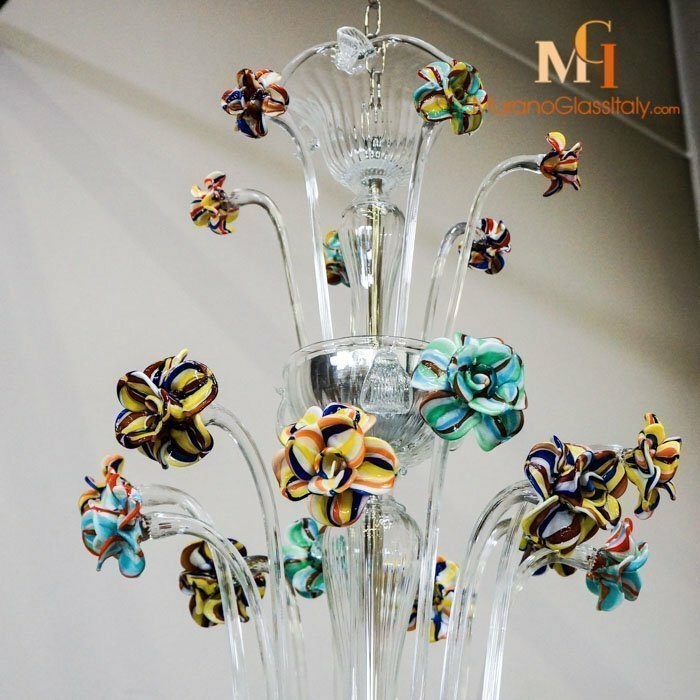 This gorgeous chandelier is combining a fabulous curved clear crystal glass frame along with an arrangement of delicate multicolored flowers. 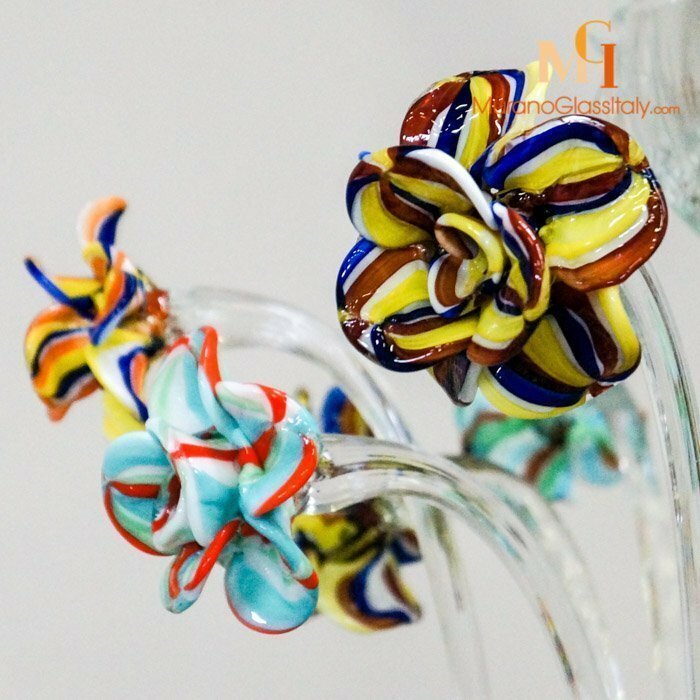 Imagine the symbiosis of beautifully hand engraved bobeches and the colorful floral details shining through your living room. 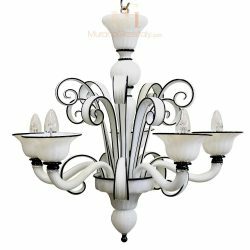 Chandeliers conjure up great plays of light and give rooms a very specific note. 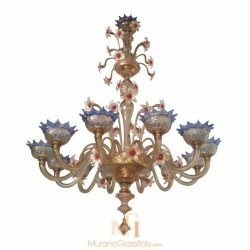 Depending on the model, the effects achieved range from noble to comfortable flair. 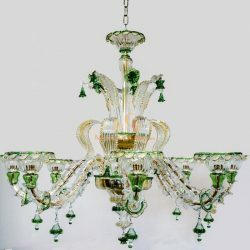 The Doge’s Chandelier is 100% traditionally handmade masterpiece from the lagoon of Venice, Italy. 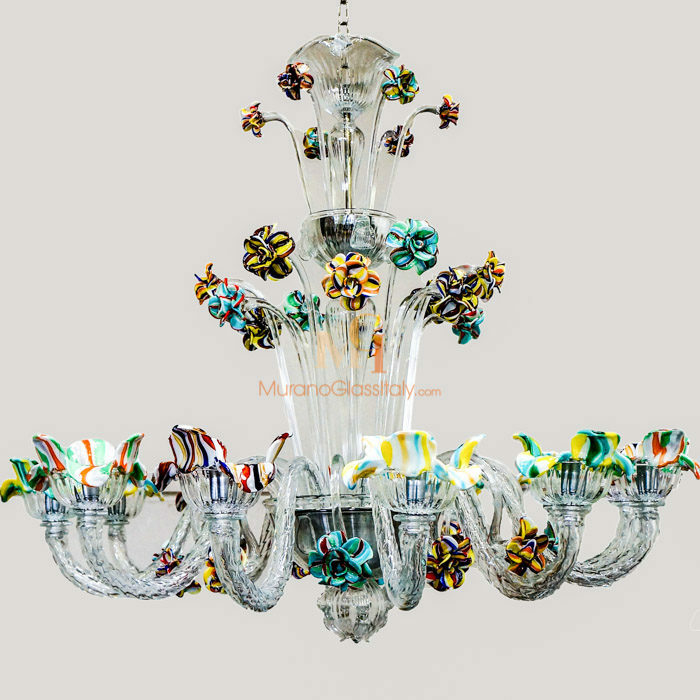 This unique chandelier is part of the exclusive Glass Blown Chandeliers Collection. 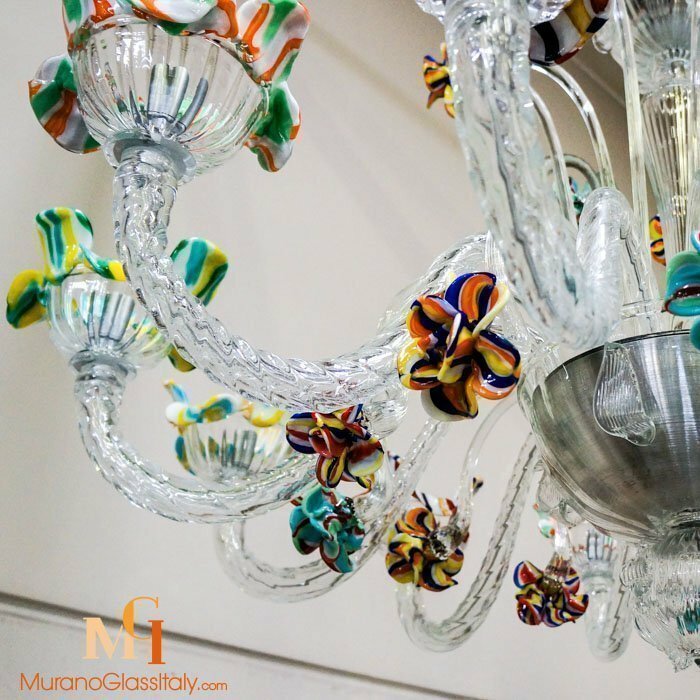 The chandelier can be customized in the number of lights and colors to fit your interior perfectly. 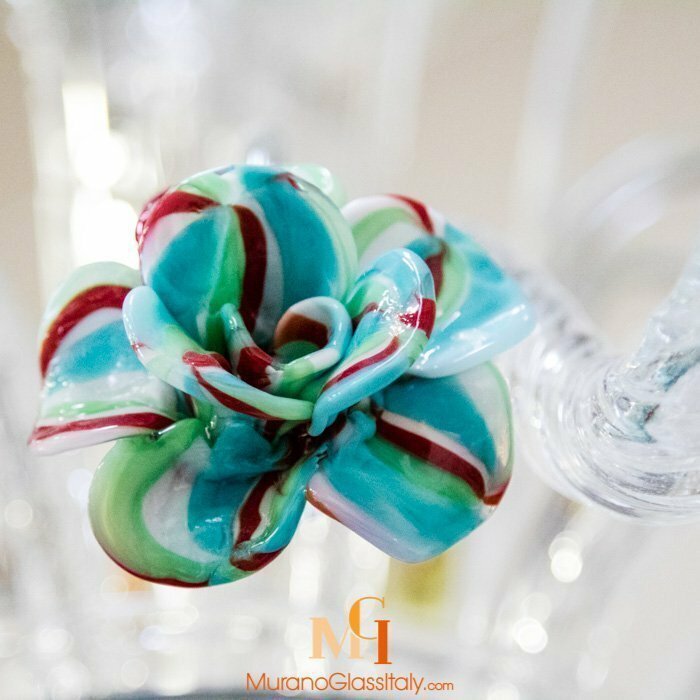 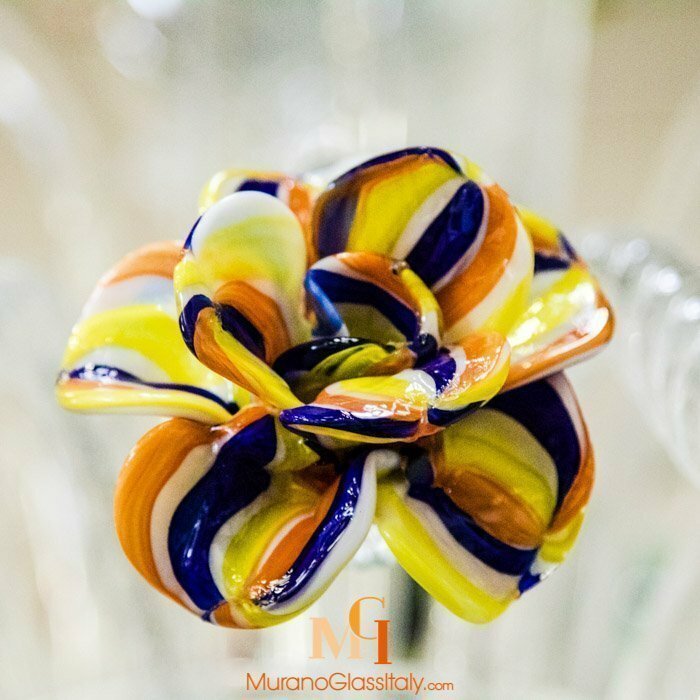 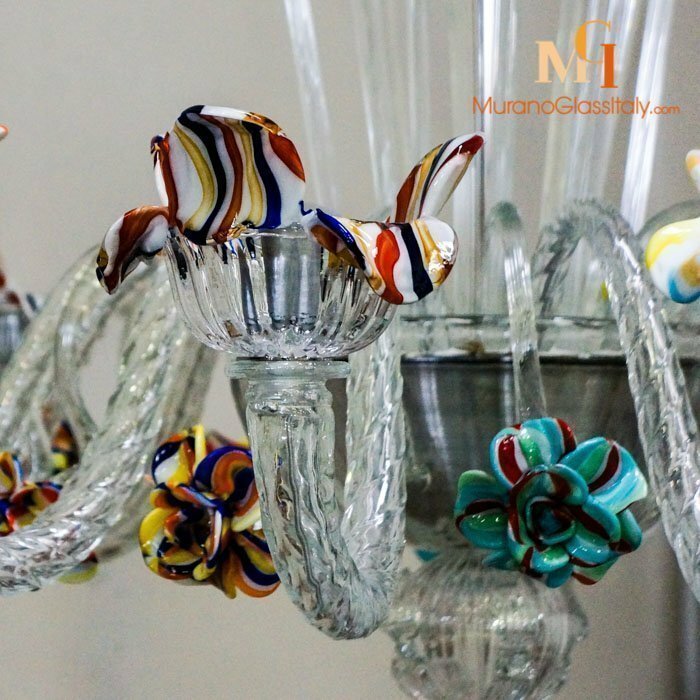 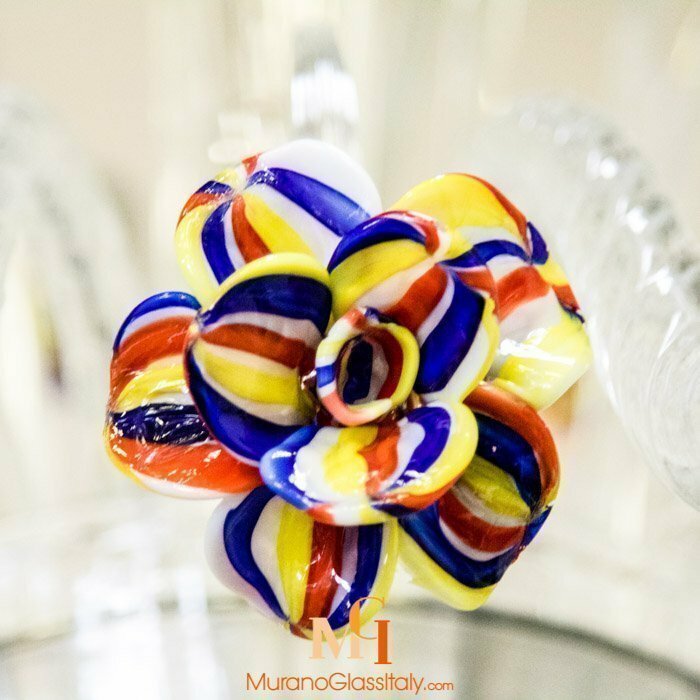 For more information, contact us at customer@muranoglassitaly.com.